Spring is here which means lazy Sunday afternoons relaxing in the sun. We love celebrating the newly arrived warmth with Maxwell & Williams stunning Euphemia Henderson range, refreshed for the season with a new all white iteration. Created in partnership with the Royal Botanic Gardens Melbourne, this range is a stunning representation of Australian botanical art and is sure to turn the simplest of recipes into a statement on the table. We think it is particularly suitable to serve sweet treats with. 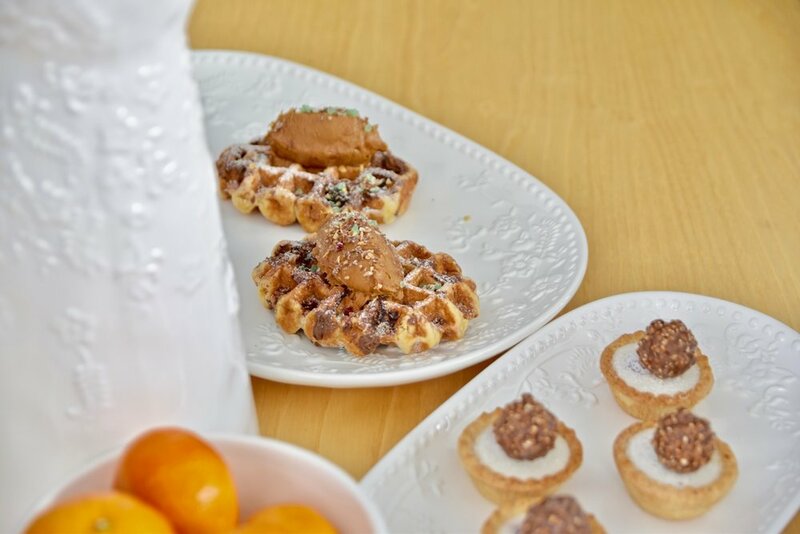 For the oblong platters, think little tarts for afternoon tea or a plate of beautiful waffles served in the centre for guests to enjoy for breakfast! The footed bowl on the other hand is perfect for fruit!